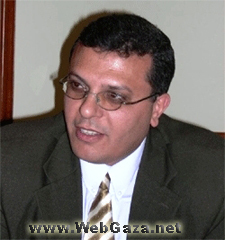 Gahad Hamed - Who is Gahad G. I. Hamed? and represented Al Azhar in Media and public affairs). The Impact of the Israeli Siege on social, economic and psychological condition of Palestinians in the Gaza Strip. Journal of Baheth Studies Centre, Bruit, Lebanon, Val. no. 23. 2008. The Crisis of Arab Regime and its Interior conflicts, Palestinian Case and its Ongoing Crisis, Journal of Baheth Studies Centre, Bruit, Lebanon, Val. no. 22. May, 2008. The Attitudes of Palestinian University Students towards Violence and their practices to it, Al Aqsa University Academic Journal, Gaza, Palestine, V. no. 12, p-p. 125-172, 2008. Democracy and Elections in the Arab World: The Palestinian Case, Arab and Islamic thoughts and there challenges to current era, AAUJ, papers of the conference, V. No. 2, Ramallah, West Bank, 5-7 November, 2006.